Portions of the Water Authority delivery system are over 60 years old. As pieces of the system naturally age, it is critical to actively replace and repair the Water Authority's assets, which include pipes, valves, facilities, equipment and other infrastructure. The asset management program was put in place to monitor the condition of these assets. The program’s goal is to repair and replace assets before problems occur. The program also seeks to extend the replacement schedule of assets in good condition. This balance will minimize money spent on repairs and replacements without causing major problems to member agencies or the public. Water Authority staff maintain a comprehensive inventory of all assets which includes infrastructure location, condition, performance and useful life. Technicians routinely inspect and assess all portions of the system as part of the program. 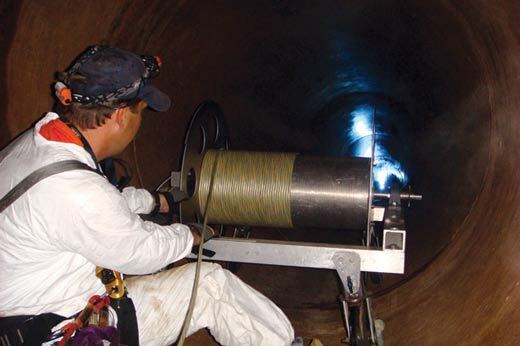 Inspection efforts include visual inspections, internal/external inspections, steel thickness measurements, and real-time cathodic protection data. In addition, the Water Authority uses the most current technologies for monitoring large diameter prestressed concrete-cylinder pipe. These technologies include Remote Field Eddy Current scanning which detects and locates damaged areas on the pipelines while they are empty and real-time acoustic fiber-optic monitoring to detect and locate distress on the pipelines while they are in service. As an example, the asset management program has identified several large-diameter pipelines that were in poor condition and at the end of their service life. 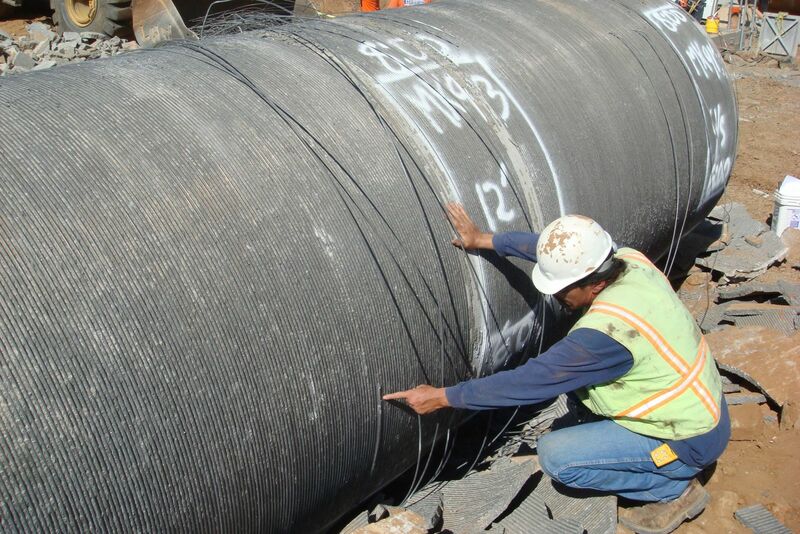 Rather than abandoning or replacing the pipelines, the Water Authority has been actively repairing them by inserting steel liners. This extends the life of the pipeline without major disruptions to the local community and reduces the cost of replacement. Our asset management program is a key element in providing a safe and reliable supply of water to the Water Authority’s member agencies to serving the San Diego Region.